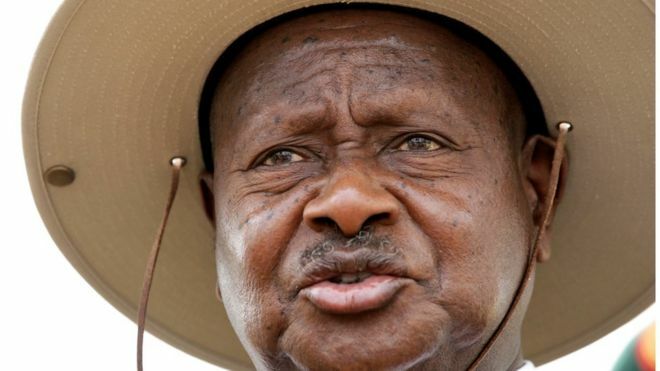 “Uganda’s President Yoweri Museveni has vowed to enforce the death penalty again, dismissing opposition from non-governmental organisations (NGOs). “We believe in the Law of Moses; eye for an eye,” he said in a tweet. The last execution in Uganda was 13 years ago. Last week, Mr Museveni said he would “hang a few” at a graduation ceremony for prison wardens in the capital, Kamapala, on Thursday. In recent years crime has risen, with 20 women murdered in four months in the capital Kampala last year. Some critics say police put more effort into targeting President Museveni’s opponents than into catching criminals.